Don’t let the hype scare you away: Kaufman and Kristoff’s ILLUMINAE is a fast-paced, tense, and hilarious journey through space that is sure to entertain. 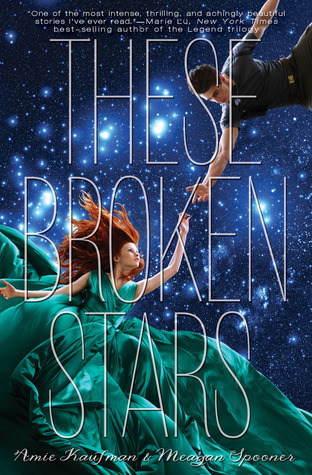 THESE BROKEN STARS by Amie Kaufman and Meagan Spooner is everything I normally love about YA romance: dual POVs with distinct narrative voices, nuanced characters, and my beloved friends-to-lovers trope. If I were to review the first 60% of the book, I would give it 4 stars and call it a day…but sadly I thought the last half of the book was a hot mess.